…using both your hands (gentle power) and mind – but in a whole new way. Perhaps it’s time to learn a new way of living, a way that allows you to connect with your inner gentle power to affect the world with effortless effort. You may be a skeptic but secretly you also want to bend a spoon. This whole things seems too “Woo Woo” for you. Learn about the power of your mind and thoughts in this experiential, playful 2 hour workshop, where the focus is on identifying the places you get stuck and how to live life with greater ease and less resistance. And yes, you may also bend a spoon. In the two hours you will be guided through the four steps, with lots of time to practice and share with your fellow aspiring spoon benders. 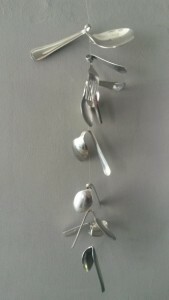 I highly recommend that you bring some additional spoons with you just so that you can practice, practice, practice. And you can bend silverware with effortless effort too!!! How? Email Me now to book your spot for this or for future events. Kerstin Waddell is a Martha Beck certified life coach based in Cape Town, South Africa.